Just across the street from the Xinbeitou metro station Beitou Park is nothing spectacular but it does offer a look into local morning routine, including Tai Chi, use of public exercise equipment and other practices I was unfamiliar with, such as taking a deep breath and yelling. Seemed like a pretty good way to release stress. 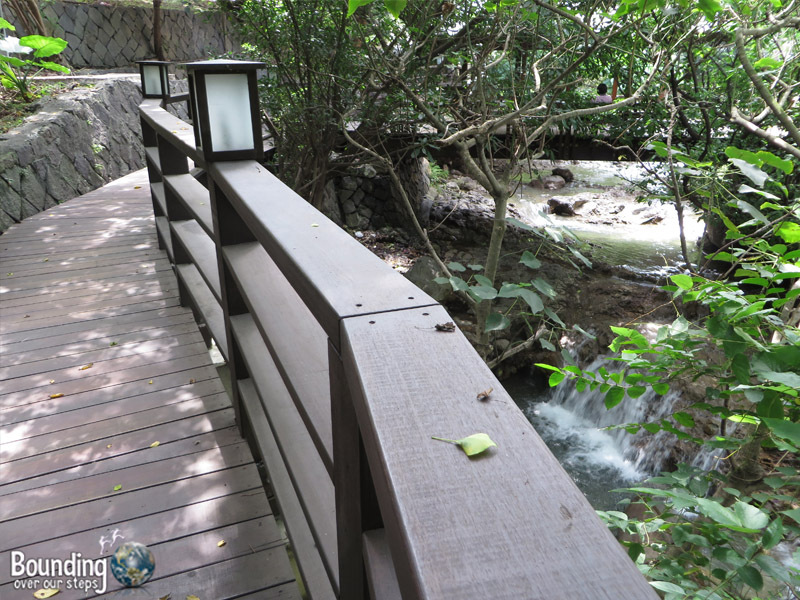 I particularly enjoyed the stream walk through this park, on a boardwalk situated fight next to the green-tinted river flowing from the thermal pools upstream. And that’s exactly where I was heading. I could feel the temperature rise as I left the park and approached what has been termed “Hell’s Valley”. I arrived frantically waving a fan in my face to the gate just as it opened at 9am and found myself the only one there. I walked past the souvenir shop and there it was, a pool of green bubbling water with steam rising. Reminiscent of a witches cauldron I could definitely see why the Ketagalan people (native tribe to the area) called this place “Kipatauw” (home of the witches). Living in Thailand for more than two years I must admit that I had gotten a bit “templed out”, but the Puji Temple, being of Japanese architecture, would at least be a variation on a theme. It proved a bit difficult to find and, like many of the attractions in Taipei, involved stairs. 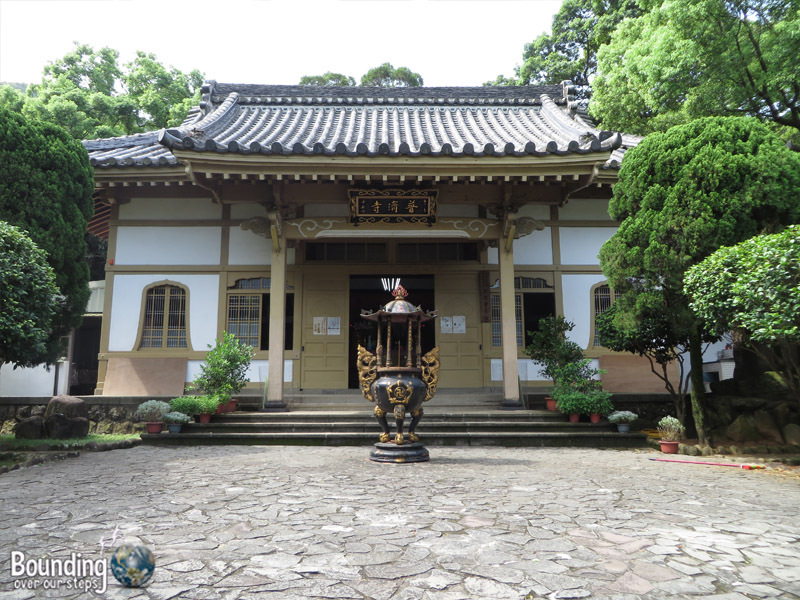 While the temple itself was indeed quite beautiful, what made this visit special was the conversation I had with the monk who was taking care of the temple in his teacher’s absence. He not only took the time to explain the differences of the three main branches of Buddhism and how Taiwanese Buddhism fits into these, but we also spoke about the heavier topics of vegetarianism and gay marriage. He told me that unlike monks in some other countries, such as Tibet and Thailand, monks in Taiwan are all vegetarian. He also shared that he has a monk friend who weds many gay couples. And very much unlike that of the Theravada Buddism found in Thailand, female monks outnumber male monks in Taiwan. I’m so glad I made the climb to the Puji Temple. 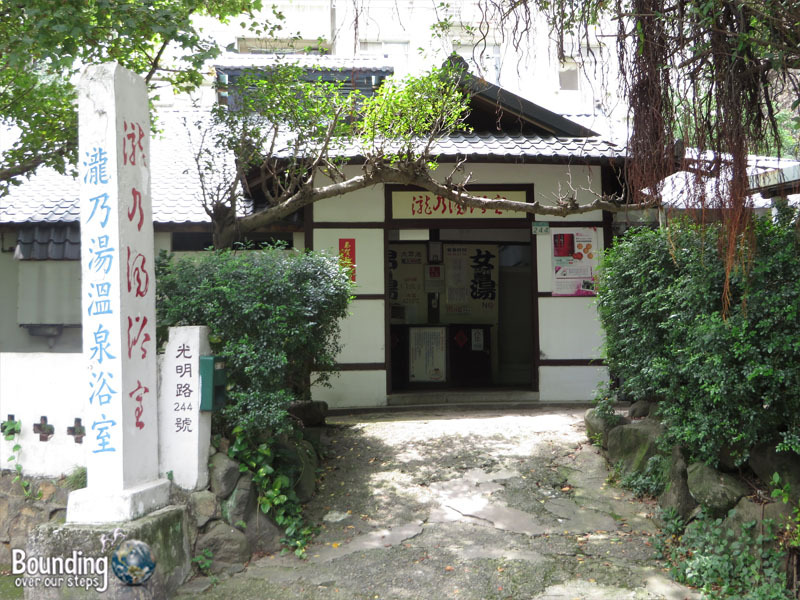 While there are many places to experience the hot springs in Beitou, I chose Long Nai Tang Hot Springs because it was the earliest hot spring in the region, dating back to 1896. I was also intrigued by the promise of a “local and authentic experience”. The water contains radium which apparently has health benefits, although fertility wasn’t exactly something I was looking for. I entered a little apprehensively but left having had a very unique experience indeed. It was great to be the only foreigner there and, wow, the water was hot! It was mid-day by then and quite hot so I decided to cool off a bit at Taiwan’s fist green library which has solar panels on the roof. Rain water is also collected and used to flush the toilets and large windows allow for ample light during daytime hours. The three-story building was architecturally rather beautiful and I was amazed to see the inside full of people of all ages using the library. There seemed to be an air of pride from the many Taiwanese patrons, and rightfully so. I decided to avoid the heat by spending the rest of the afternoon indoors. My first stop was the Hot Springs Museum, which gives a look into the lives of the Japanese when they lived there during the first half of the 20th century. Adding to the Japanese experience all patrons are asked to replace their shoes with slippers provided by the museum. Much of the information there was only available in Chinese but I could still get the gist of life during that time. 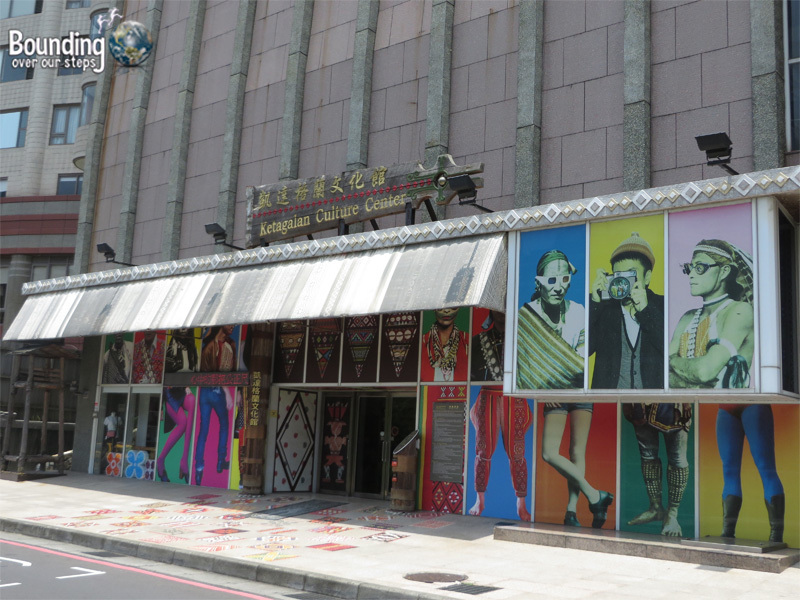 Across the street is the Kategalan Culture Center, offering three floors of insight into the lives of Taiwan’s 14 aboriginal groups. Displays included traditional clothing, tools, household items, as well as instruments (I found the double-barreled nose flute the most interesting) and a timeline of historical events. Although much of the information had not been translated into English and the two movies were in Mandarin, I learned a lot about these populations, sadly some of whom have no more living members. In this way, the Kategalan Culture Center seemed to be honoring them and their influences on greater Asian societies. From Taipei’s Main Station go north on the red line to Beitou. Change to the pink line by going downstairs and back up again on the other side of the platform and take it one stop to Xinbeitou (New Beitou). Su Vegetarian Restaurant is across the street from the library and provides both set menu and a la carte options. I did not there but the menu was varied with many vegan options and the atmosphere was welcoming and modern. 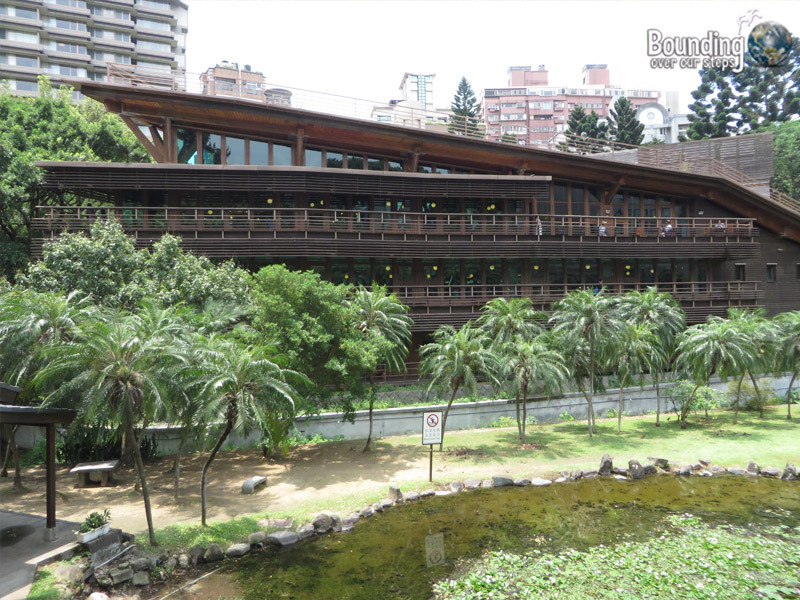 What would be your favorite part of a day visit to Beitou? You really have sold me on visiting Taiwan. I want to check out the thermal springs and hot springs now!! Taiwan really surprised me! I recommend adding it to your list of places to go in Asia and I am certainly looking forward to going back to explore the eastern and southern coasts – the pics look amazing!!!! I just love Taiwan. Every time there’s a post about it I love clicking and reminiscing. 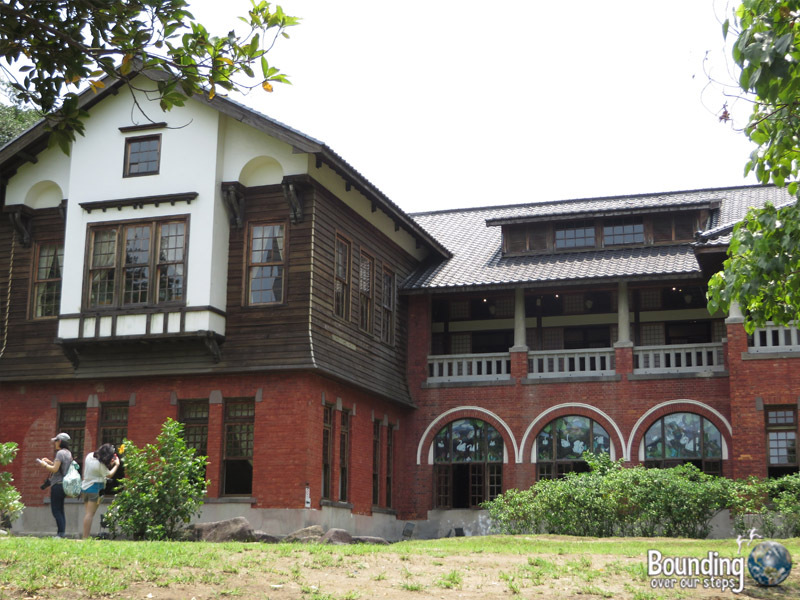 I lived in Taipei for 8 months but never made it out to Beitou. Crazy, huh? Love the shot of the witches cauldron – how mysterious! It definitely had a mysterious feel to it, especially since I was the only one there so early in the morning. There doesn’t seem to be many people around, is that the case or just the time you took the photos? I think I got lucky with the people-less photos. It was low tourist season AND I went early in the morning – the perfect combination. 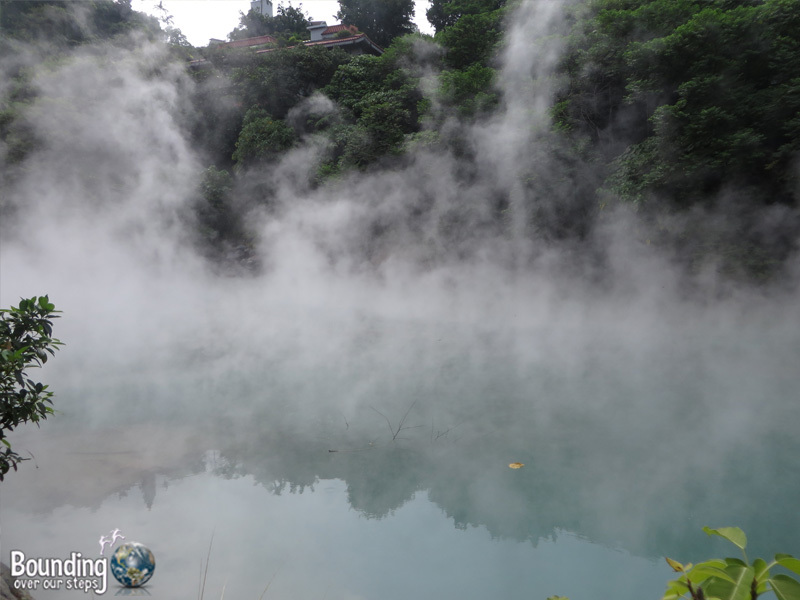 I have heard though that the geothermal hot springs are more impressive in the winter given the difference in temperatures of the air and the water. We missed this while in Taipei for our honeymoon a few years back. Must bookmark for our return trip!